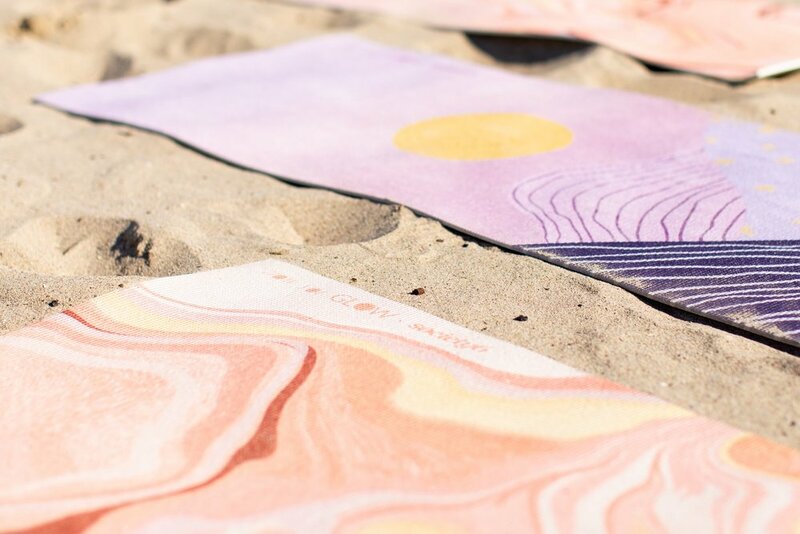 Inspired by How You Glow’s purple sunrise color palette, designed this mat with a soothing, restorative flow that radiates confidence. 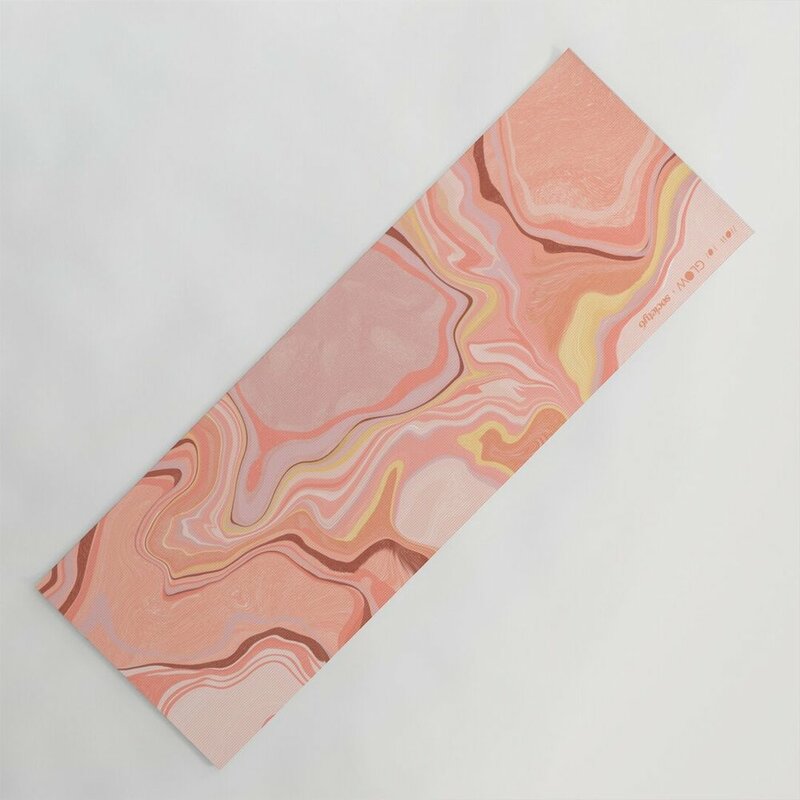 It’s meant to counter-balance the more vigorous design of the Rose Quartz mat. 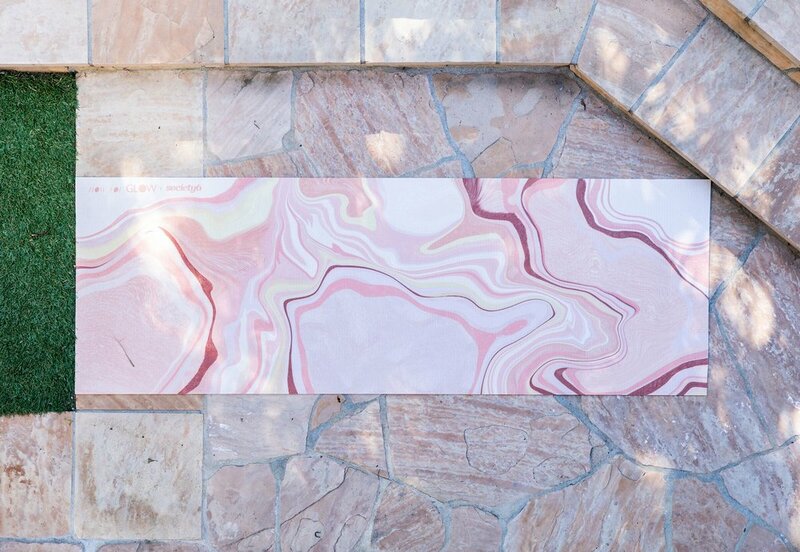 Designed this mat as an ode to the rose quartz geode. 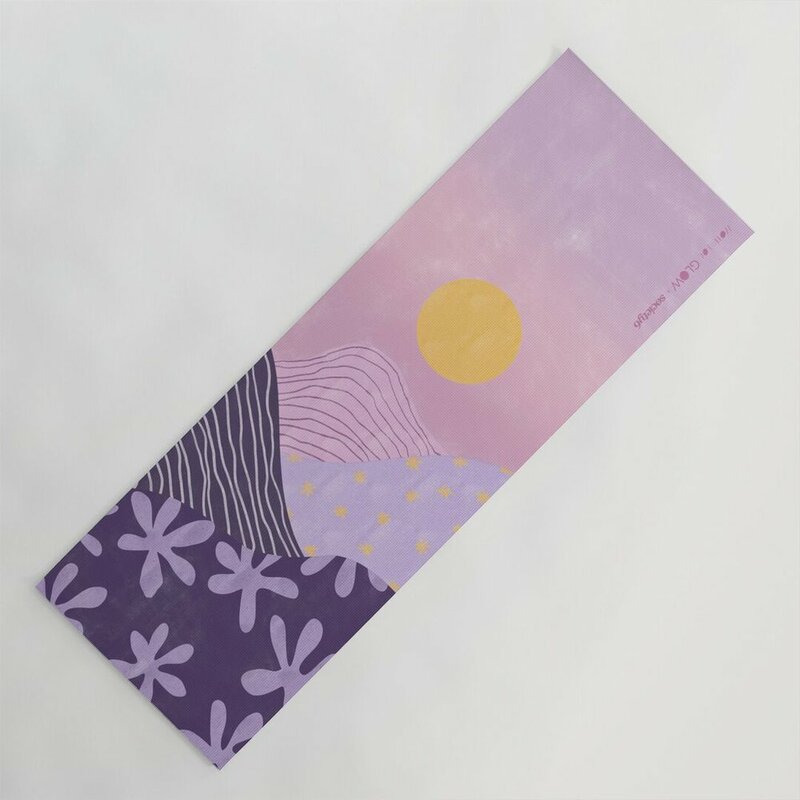 Meant to balance its intensity with the calming Purple Sunrise mat, it represents self-love and a willingness to share goodness with others.